The next morning, Kesha didn&apos;t want to wake up. She wanted to stay asleep forever, she never wanted to wake up again. But of course, she did wake up. When she stirred, Demi woke up too. She didn&apos;t mind though, she wanted to make sure that Kesha was okay. "Hey there, baby girl." She said with a yawn. "How are you this morning?" "I&apos;m okay," Kesha replied. Her reply wasn&apos;t convincing, infact she could barley be heard. "Liar," Demi said softly. Kesha turned her back on Demi, not answering. "Talk to me, Kesha... Please, I&apos;m not going anywhere. I have time..."
"Yes you are," Kesha said miserably. Demi could hear the pain in her voice when she spoke, and it killed her inside. "What do you mean?" She asked worriedly. "I promise you I&apos;m not." "You are, you have to. Didn&apos;t you hear what my parents said? They want you gone. You have to leave," Kesha said. Suddenly she was sobbing. Demi rushed to her, but Kesha singly pulled away. "No-no, I don&apos;t need anyone!" She cried, covering her face with her hands. "Shhh, baby girl. Yes you do, and that&apos;s okay. I&apos;m here, I&apos;m here..." Demi soothed, but it wasn&apos;t working. "I promise." "What do you mean? Yes I do!" She said, trying to defend herself. "You don&apos;t," Kesha said. "But that&apos;s not important now. I don&apos;t need you to. Not anymore..."
"What do you mean, Kesha? You keep saying things like that, but I don&apos;t know what you mean! Just tell me! Why can&apos;t you tell me?" Demi demanded. "BECAUSE I CAN&apos;T!" Kesha screamed. The second the words left her mouth she flung her hands up to cover it. Demi opened her mouth to reply, but Kesha shook her head desperately and gave her a pleading look. They stood in silence for a while, Kesha listening intensely. Finally she breathed again, relief flooding over her. "What was wrong? Why couldn&apos;t we talk?" Demi asked, sounding confused. "In case we woke them up," Kesha hissed quietly. "Shhh, not so loud!" 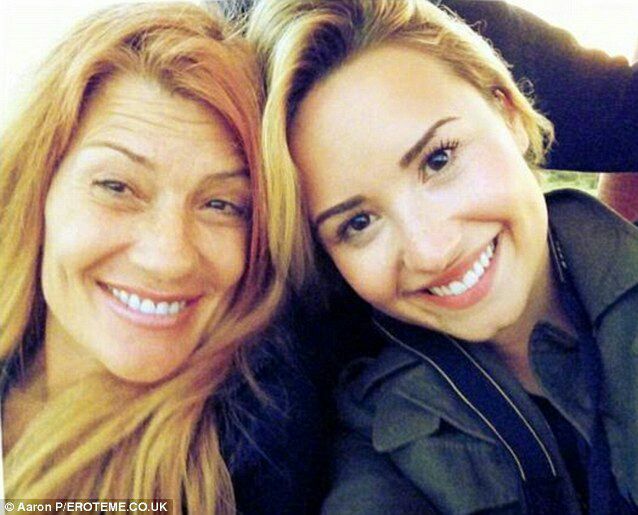 Demi was beginning to get more and more worried about Kesha and her parents. "Sweetie, are you and your parents-" Demi began, but Kesha quickly cut her off. "Everythings fine Demi, don&apos;t worry about it." She snapped crossly. "Now, you have to go..."
"What?" Demi asked in confusion. "Are you deaf, Demi? Didn&apos;t you hear my parents? They want you gone, so you have to go!" Kesha cried, sounding horrified. "Please Demi, just go..."
"Alright, calm down. I&apos;ll go and pack. Just let me call my Mum first," Demi sighed. "It&apos;s only six am, we have ages yet." "No, we don&apos;t! They will be up soon, now get going!" Kesha snapped furiously. Demi couldn&apos;t see past Kesha&apos;s fury at that moment. She couldn&apos;t see the scared little girl behind the tough-girl act. She couldn&apos;t see the fear. "Fine," Demi snapped. "I&apos;m going." Demi stormed out of Kesha&apos;s room and into her own. Then she picked up her mobile and called her Mother. "Hey Mum, it&apos;s me." She said, happy to hear her Mum&apos;s voice. "Demi!" Her Mum cried happily. "I wasn&apos;t expecting you to call." "I was just calling to say that I&apos;ll be home soon. Aunty Meggie and Uncle Sammy are chucking me out, they came home early. Kesha seems really eager for me to leave before they wake up, like they asked." Demi explained. "Yeah, Kesandra doesn&apos;t respond to anything else anymore. Unless it&apos;s her parents speaking to her. She still seems really scared of her," Demi sighed. "Well she always has been," Dianna pointed out. Demi had to agree with her there. "I don&apos;t know why they want to get rid of me so quickly," Demi said. "I was surprised they let you in the first place. If they asked any of us, I thought it would be Dallas!" Dianne said, clearly surprised. "They were desperate and I guess the knew I had the money to come down last minute," Demi suggested. "You never did tell me why we can&apos;t see them anymore." "I&apos;ll tell you when you&apos;re back, Demi." Dianna promised quickly, not wanting to have that particular conversation now. "I don&apos;t need you getting mad at your Aunt and Uncle." "Mum, just tell me!" Demi sighed, a little frustrated. "I&apos;m packing as we speak, so you might as well!" "No, Demi. Not now!" Dianna snapped. "Finish your packing. Text me when you&apos;re back in the county." With that, Dianna hung up. Demi stared at her phone for a moment, rather surprised.